Credit Repair: Fact vs. Fiction! Before you pay for "Credit Repair", you need to know what is FACT and what is FICTION! We will remove negative items, bankruptcies, judgments, liens from your credit report! Improve your credit score by 50 to 100 points! No one can LEGALLY remove correct or accurate information that is reported on your credit report. After all, a credit report is a recorded history of how you have used credit. There are many factors that go intor formulating a CREDIT SCORE. Although each uses a slightly different set of criteria for determining and assigning a credit score, they are basically the same. Although you cannot remove accurate information from your credit report, YOU CAN HAVE INACCURATE INFORMATION REMOVED! We are all entitled to receive a FREE CREDIT REPORT annually. I believe it is a very good practice to request your credit report each year to make sure there are no mistakes or inaccurate information being reported! You have to request it within 60 days of receiving notice of denial, so don't wait too long! If you find errors or inaccurate information on your credit report, you can dispute it with the credit reporting agencies (yes, you may have to contact all three is the same information appears on each credit report). You can either write a letter or go to the credit reporting agencie's website. I believe going on line is the most efficient way to dispute items. A copy of the errors on your credit report. You don't have to send or include the entire credit report. Just circle the items you are disputing. Next, you must explain or prove why your are filing the dispute. Let's say that you had a credit card that was completed paid off a few months ago and the credit report is still showing a balance. You will need a canceled check or bank statement showing the payments or series of payments to the credit card company. You may be able to get a copy of a letter or statement from your credit card company by calling or going to the credit card company's website. Make a copy (.pdf if filing on line) and include with a brief statement of why this item should be corrected. I am opening a dispute about the account I have circled on a copy of my credit report with your company. As you can see from the attached (or enclosed) statements, canceled check(s) and/or bank statements, this account has been paid in full. Please make this correction as soon as possible. Not only does the credit reporting agency have to correct the error, IF YOU REQUEST, they must send a copy of the corrected report to anyone who got your report over the last 6 months! If the error caused you to not get the job you applied for, again, IF YOU REQUEST, the credit reporting agency must send a corrected copy to anyone who got a copy for employment purposes over the last 2 years. By law, the credit reporting agency must investigate your dispute within 30 days. They must send the information you provide in your dispute to the company reporting the inaccurate information. After they company investigates and reviews the proofs you included about the disputed item, it must report back to the credit reporting agency as well as all other credit reporting agencies. Once the investigation is complete, the credit reporting agency must provide you with the results and a free copy of your correct credit report. What about negative information on your credit report? Unfortunately, negative items on your credit report cannot "magically disappear", regardless of the claims of some credit repair companies! But over time, these items will be removed. But what about those so-called "credit repair companies" that claim to be able to remove negative information? Well, it's just not true. In fact, you should read an article from the Federal Trade Commission's website about one credit repair company's penalties, etc. Many credit repair companies use the VALIDATION LETTER technique. While it is certainly legal and ethical to challenge inaccurate information on your credit report (as we discuss above), there are some (too many in my opinion) credit repair companies that ABUSE this technique. The rationalization is that the credit reporting agencies are some overwhelmed with disputes that often they will just correct and/or remove the disputed item without doing a thorough investigation. After all, the credit reporting agencies are in business to make a profit. So yes, maybe in some cases they will remove an item without much investigation, but the creditor reporting that information can (and most likely will) put the disputed information back on your report. This type of CREDIT REPAIR FRAUD has caused many credit repair companies to be heavily fined or forced out of business over the last few years. And yet, for those who feel they cannot make disputes themselves or would be willing to pay for legitimate credit repair services, there are many solid, credible companies. Check with your state attorney general's office for a list of registered credit repair companies and also with the Better Business Bureau for complaints. Credit repair is a popular and often misused term. 1. If you haven't done so already, request a FREE COPY of your Credit Report. The Fair Credit Reporting Act (FCRA) promotes the accuracy and privacy of consumer information on the nation's credit reporting agencies. If you want to dispute items on the report, you need to follow some simple steps. We can remove bankruptcies, judgments, liens and bad loans from your credit report! We can remove all charge offs and bad credit history to improve your credit score! Improve your credit score by 50-100 points in 30 days! If it sounds too good to be true, it probably is. You can accomplish the same thing on your own! Understand that a Credit Report is a history of your credit...how much, what kind, repayment history, etc. If you have had a rough time and missed payments or had accounts charged off and go to debt collectors, your credit report will reflect it and THERE IS NOTHING A CREDIT REPAIR COMPANY CAN DO ABOUT LEGITIMATE ITEMS. ...then, you can dispute those items yourself and with the proper proof and/or documentation, can have those items removed. 2. Gather evidence and proof for your dispute. Let's say that there is a Visa account with a balance of $5,000 that you paid off either IN FULL or Settled for Less Than the Full Amount. Get a copy of your cancelled check(s) or bank statements clearing showing that you have paid this account as agreed. If you cannot find the proof, then you can try to make the creditor VALIDATE THE DEBT. Mail a detail account along with copies (not originals) of your canceled checks or bank statements (make sure to black out bank account numbers) to each of the credit reporting agencies. You can also go on line to each reporting agency, but I think the written proof mailed by CERTIFIED MAIL (so you can prove they received it) is much more efficient. The credit reporting agencies will contact the disputed creditor or debt collector. Once the investigation is complete, the credit reporting company must provide you with a copy of the results and a free copy of your credit report if the dispute results in a change. 3. If you receive a letter from a debt collector and you don't think you owe the debt, MAKE THEM VALIDATE IT! Many debt collection agencies BUY OLD DEBT at pennies on the dollar and try to collect. Some of the debts are legitimate and yet many are not. 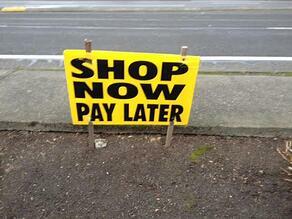 Because of the harsh language and threats of PENDING LEGAL ACTION, many consumers just pay the debt! 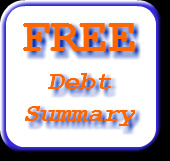 If you know that you don't owe the debt, send the same information as above the to debt collector. Demand that they provide you with documentation of the original contract showing your signature and date. If they cannot provide the documentation or if they deem it is too much trouble to investigate, they will cease collection activities. If they do not provide documentation that clearly shows you owe the debt, and they continue to contact you, REPORT THEM TO YOUR STATE'S ATTORNEY GENERAL'S OFFICE AND the FEDERAL TRADE COMMISSION (FTC). If you find that you have old debts that you legitimately owe, you may be able to negotiate a settlement for much less than the balance! We can help you through the process. Simply give us a call at 1-877-492-4109 or click on the link below. If you've been a victim of identity theft, you know how much work it can take to clear your name. In theory, identity theft should not have an ongoing impact on your credit reports or scores. But the reality can be much different. 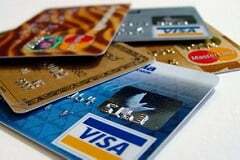 The fastest growing type of identity theft reported involves the use or misuse of an existing credit account, according to a report by the Department of Justice. If you aren't monitoring your accounts closely, you may not catch a sudden increase in the balance on your credit cards. Unfortunately, balances that are close to their credit limits can have a significant impact on your scores. High credit utilization (balance/credit limit) can drop a high FICO score of 780+ by as much as 45 points! YIKES! The good news here is that once those new charges are successfully disputed, your credit scores should no longer be impacted by those fraudulent charges. When a crook uses your personal information to open a new account, that account will typically appear on your credit report. New accounts added to your credit report will cause a slight drop in your score. The identity thief will often destroy the consumer's credit score by not making payments on the fraudulent accounts. Most consumers don't learn that their information has been compromised until after the damage has been done. In this scenario, the thief opens new accounts, makes purchases, and pays the bills for a little while, and then they disappear. The damage can be severe. In fact, even a minor delinquency, such as a 30-day late, can cause a high FICO score of 780+ to lose as much as 100 points! Imagine how much your score would drop if you did not notice this for several months. Every time a scammer applies for credit using your personal information, that inquiry is recorded on your credit report as a hard inquiry or hard pull. While multiple inquiries don't typically have a significant impact on one's credit scores, they will start to add up. This can be a hard thing to clean up. When you start working to clean up the mess, not only will you have to clean up the fraudulent trade lines, you will also need to work to clean up the hard inquiries to make sure that any that have been made by the identity thieves are removed. Don’t wait, go ahead and take a look today. If you find trade lines or balances that you believe to be fraudulent, there are steps you can take to clean up the mess and report the crime. Come back tomorrow to learn about your rights and how to recover after becoming a victim of identity theft. DIY credit repair is not as hard as you think! If you think you have errors on your credit report, there are steps you can take to correct them without paying a so-called "credit repair company". BY THE WAY...DO NOT FALL VICTUM TO SO CALLED CREDIT REPAIR SCAMS THAT CLAIM THEY CAN REMOVE NEGATIVE ITEMS AND INCREASE YOUR CREDIT SCORE...FOR A FEE! First, you need a FREE COPY OF YOUR CREDIT REPORT. Let's say you paid off a credit card bill and yet there is still an outstanding balance showing either to the original creditor or to a collection agency. If you have the last statement show a zero balance...even better! 2. Follow the instructions for each reporting agency to submit or open a challenge to your report. You will be assigned a FILE NUMBER. Make sure to write it down or better yet, make a copy of the page. 3. The credit reporting agency will contact the creditor about the account in question. This may take up to 30-60 days. 4. If you do not receive an email or letter within 45 days, check back with the credit reporting agency to get an update on your open file. Your proof of payment should do the trick, but in some cases you may need to MAIL copies of proof of payment with explanation. The point is...DON'T GIVE UP! The credit reporting agencies want to provide an accurate report and will correct errors when proven to be errors. If you are having trouble paying off credit card or other unsecured debts, we can help! If you find that you have legitimate balances on some of your credit card accounts, a Debt Settlement Plan could be the answer! Contrary to Michael Scott's opinion, you can't declare bankruptcy by simply saying it in public! But that is not the only Bankruptcy Myth that is going around. 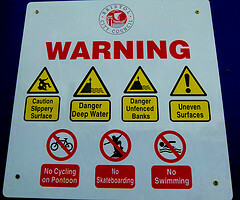 It is important to know which Bankruptcy Myths are true and which ones are just plain silly! Here are 4 common myths that are absolutely NOT TURE! Also, if you complete a chapter 7, you must wait 6 years before filing a chapter 13. And if you complete a chapter 13, you must wait 4 years to obtain a chapter 7 discharge. If you’re married, filing bankruptcy doesn’t affect your spouse’s credit. However, if you’re struggling to pay debt that’s in both of your names, then you should file bankruptcy together. Otherwise, creditors will simply demand payment for the entire amount from the non-filing spouse. No matter what anyone says—especially an aggressive debt collector—it’s not against the law to owe money. There is no such thing as debtor’s prison in the United States. Creditors can sue you, take you to court, lien your property, and garnish your wages, but they can’t send you to jail. You can only be arrested if you commit a crime, like fraud, hiding property to avoid a judgment, or refusing to pay income tax. The filing fees for chapter 7 and 13 bankruptcies vary, but aren’t more than $300. The real expense is hiring an attorney, which could range from $2,000 to $4,000, depending on the firm and the type of bankruptcy you choose. You can file bankruptcy without an attorney, but I don’t recommend it. A less expensive option is to hire a bankruptcy paralegal. They can do everything an attorney can do, but usually charge much less! While bankruptcy may be inevitable for you, there are other options that can help you to eliminate your debt without filing bankruptcy. 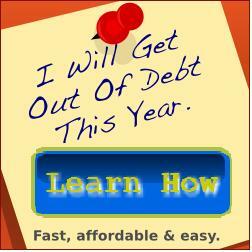 Debt Consolidation and Debt Settlement are some of the choices you have when you are struggling to pay your debt. For more information, click on the link below or ask a question in the comments section at the end of this post! Hard Pull vs Soft Pull - What is the difference? When most people think of a credit check, they think of this vague thing where the someone checking their credit puts in their name and other private information and gets this number along with everything they have ever done wrong financially. However, it’s a little known fact that there are actually two kinds of credit checks: Hard Pulls and Soft Pulls. So, what is the difference between a Hard Pull and a Soft Pull? This is a basic inquiry of your credit score, and is meant for informational purposes only. a soft pulls does not show up on your credit report. A lender checking your credit for "pre-approval"
A Hard Pull is the complicated report that gets done when you apply for a loan, mortgage, as well as many other things. This type of credit check can affect your credit score. The first couple of Hard Pulls don’t really do anything, but after several in a row, it will start to affect your credit score. If you’re opening multiple accounts that require multiple hard pulls, you’re spending a lot more money. If you are already paying on several accounts that you have recently started, how do they know that you’ll be able to continue your payments on another new account? Luckily, this is only 10% of the total calculation of your credit score. So, what does this all mean to you? First, be aware of how often your credit is bing looked at, and try not to have too many Hard Pulls at the same time. Next, feel free to shop around a bit for the best home loan, but make sure to find out all of the details first and only apply for your top couple of choices. Finally, keep checking your credit report for inacuracies, and report any errors that your find. Checking your own credit does not affect your credit score, and making sure that the information is accurate will help you when you do apply for thos more complicated loans. As you are working to clean up your debt, it is extremely important to order copies of your credit report and credit score. You can easily get a copy of your credit report for free and your credit score will cost your around $15. The information found on these reports will directly affect the interest rates you're offered on credit cards, mortgages and other loans, so it is best to know what you are dealing with before you start applying! There are three major credit bureaus: Experian, Equifax and TransUnion. Each collects information on your credit history which is turned into a credit report. From that report, a credit score is derived. That score is a quick way for lenders to assess how risky you are as a potential borrower. The higher your score, the less risk you pose to lenders and the more likely it is that you'll get their best available rates. The score most commonly used by lenders is the FICO score, developed by Fair Isaac. When lenders review your credit reports and FICO scores, they take into account not only how much you owe but also how much credit you have available to you. Too much of either, and they may not loan you any more money. When you get your reports, check for inaccuracies. The bureaus are required to investigate and correct any issues once you report them. Look for things that may lower your credit score, including open lines of credit you never use or accounts you thought had been closed long ago. Each of the bureaus may have different information about your credit history, which means your credit score can vary slightly from bureau to bureau. Therefore, it's important to view reports from all three. You can get any of the bureaus' credit reports free at www.annualcreditreport.com and your FICO score from MyFICO.com.